The Aleethia Foundation / What a night! Friday, May 11 was “Military Spouse Appreciation Day!” Roses were distributed to all the military spouses to thank them for their sacrifices. The military spouse rarely asks for support and often shy away from recognition. Your long nights, lonely days, times of fear, hours of worry and seasons of stress are not unnoticed by those of us who enjoy freedom! 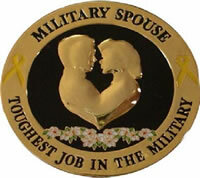 To all the military spouses -- we thank you for your outstanding service!!! 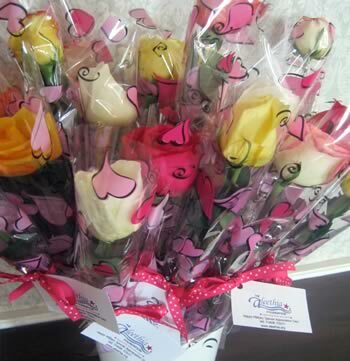 Roses for Military Spouses! Roses for Happy Mom's Day too!! 2012 Warrior Games were recently held in Colorado...Congratulations to one of the wounded warriors who has been attending Aleethia’s “Friday Night Dinners” during her recovery process! You go Stefanie!!! 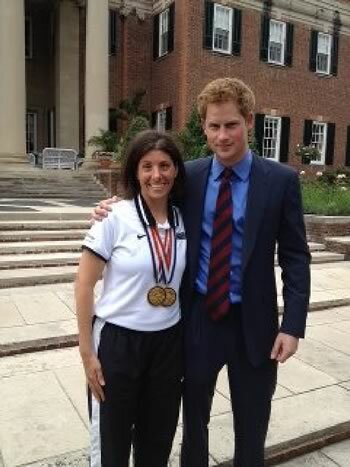 Prince Harry at the British Embassy honoring some of the British and US wounded warriors that participated in the 2012 warrior games. Good job USA and British wounded warrior teams!!! We send a shout out to Aleethia’s wonderful donors and supporters who provide gift cards that are part of the “Friday Night Dinner” door prizes. 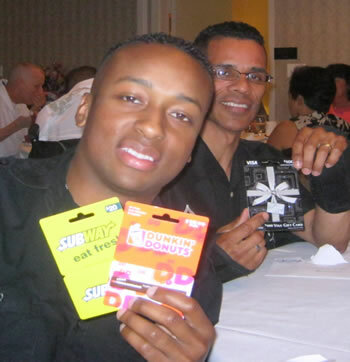 The gift cards put smiles on these two winners!!!! Leon, a cane carver who lives in Nevada periodically sends one-of-a-kind hand carved canes which are given to the wounded, injured and ill service members going through the recovery process at Walter Reed National Military Medical Center – Bethesda. Each unique cane is carved with Native American symbols. 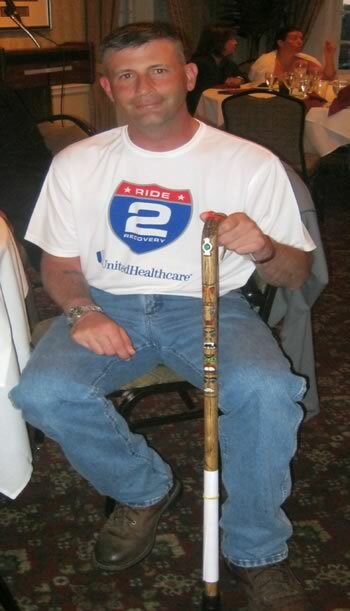 One of Leon’s canes was presented this night to a Staff Sergeant that was touched in receiving this “priceless” cane. Thank you Leon for honoring the service and sacrifices of the service members in such a unique and special way with your hand carved canes.